As long as I am feeling the summery sandal vibe (despite the dreary El Nino storm currently wreaking havoc outside! ), I thought I'd introduce you to these new beach-ready lovelies from Daft. 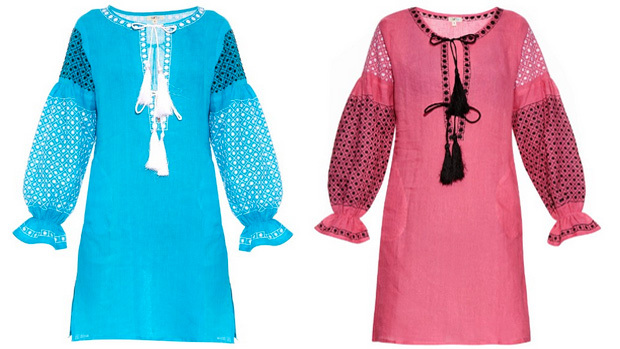 Beautifully embroidered, perfectly punchy and impossibly cute, these blue and pink linen caftans are just what I'd take to Fantasy Island!